Wow! What a great job! I wish I could say I remember those good old days lol! I LOVE these. So creative, and the perfect amount of distressed! This is adorable! Great job with the lettering! ooh how perfect, I love this!! 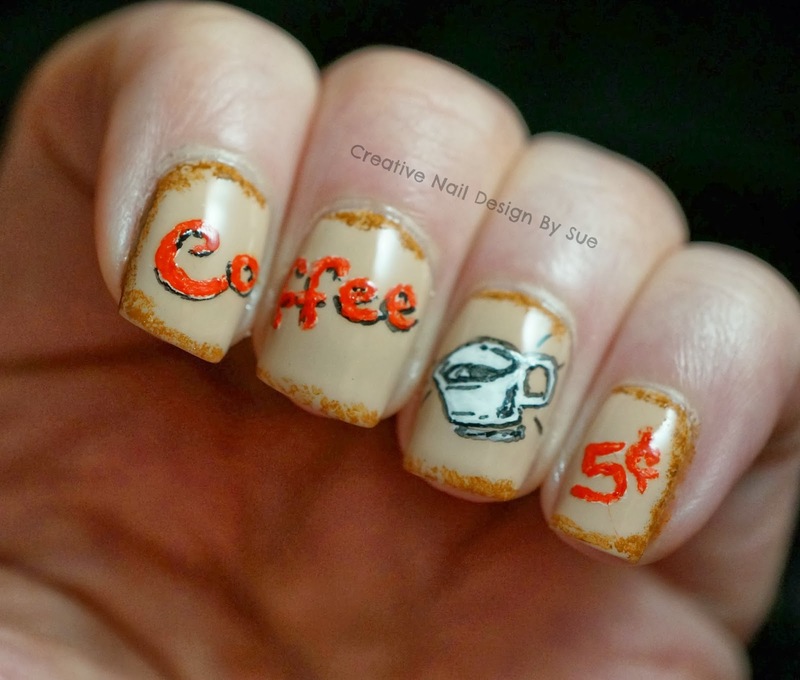 I wish coffee was 5 cents today...oh, the money I'd save! Sue, this is amazing! Seriously. OMG these are sooo cool! It is a very original design and so well done! Love it. Ahhhh! Now THIS is vintage, loving it! Absolutely love, love, love these! OH yes!! This is fantastic!! Wow! This is amazing! Just stunning work! Love it!